The CPU is the core of your system unit. It is the source of all logical reasoning and processing power whilst maintaining a queuing mechanism stronger than any human mind or hand is capable of. This scheduling or queuing mechanism allows every nano-second's worth of time to be utilized in order to multi task with efficacy and ease. So keep reading to understand what is the best CPU for CAD workstation. How should I decide on which CAD CPU to buy? Today, we’re talking about the elite 4th Generation line of Intel’s microprocessors namely the Intel® Core i7 4790k, i7 4770 and i5 4690k. These powerhouse beasts are meant for pro-CADing and extended operations such as animation and Hollywood-grade production rendering. You can check out benchmark tests of softwares using different CPUS here, but note that the Intel CPUs are by far the best for overall CAD performance. Now the debate basically falls into two categories and that’s the multi-core aspect. And the ironic part is that it’s your software that decides that one. The fact is that a multi-threaded program is the only program that can make use of the multi-core processors, so even though the extra cores sound great, if you’re thinking about CADing for the most part, then your workstation needs to be built up around your particular preference. Apart from that, tasks should be considered too. 3D modelling is fundamentally a single-core task while rendering lightning conditions should be handled by multiple threads. First up, the i7 4790. Launched in the second quarter of 2014, the 4790K is a 4th Generation processor by Intel. Its front cache, proprietary term Smart Cache is 8MB. It’s a quad core processor with 2 threads for each core. The base frequency is 4GHz, and the turbo mode clocks out on 4.4GHz. It’s 22nm wide pipelines handsomely accommodate the 64-bit architecture when passing along graphical information such as assembly decompositions and edge/node manipulations. A maximum of 2 memory channels enables maximum RAM of 32GB. For those who know their tech, the processor is not ECC enabled. It further has an Intel HD Graphics 4600 350MHz GPU with 3 simultaneous display outputs at 3840 by 2160 @ 60MHz. With the Intel TurboBoost technology 2.0 it’s easy to shift from regular to Turbo mode with your requirement bring the trigger. If the processor detects greater workload, it will up the ante. Hyper-threading & virtualization technology allows a wide range of applications useful for the CADers by creating virtual spaces for contained experiments and streamlining the threading procedures. Best of all, for the pro CADers, the Stable Image Platform Program (SIPP) will handsomely entertain all mundane maintenance protocols and requests allowing for smooth and anti-aliased imaging (if that’s what you want!). Next up is the i7 4770. With pretty much the same specs as the CPU above, it's slightly less expensive. Launched a year before the 4790, it clocks out at 3.4GHz, turbo is at 3.9GHz. With support for DDR3 RAM up to 32GB this is another powerhouse chip with a slightly less power consumption but the same performance as its aforementioned younger brother. This family of CPUs has an Intel HD Graphics 4600 chipset in them with built-in channels for 3 simultaneous outputs of 3840 x 2160 @ 60Hz with HDMI pumping out 4K graphics capabilities on the 16 lane PCI Express 3.0 interface. DirectX and OpenGL versions are supported by default enabling a better performance in terms of graphics and visual manipulations. The Quick Sync Video & Clear Video HD technology allows smoother graphics whether developing or rendering for final presentation. Intel Insider, Wireless Display and Flexible Display Interface allows for further extension and functionality when a pro CADer needs it. Up next, the Core i5-4690 3.5GHz Quad-Core Processor is another amazing CPU. This one clocks in at 3.5 GHz on regular with a 64-bit bus and the HD Graphics 4600 built in GPU. It has a 3 year warranty similar to the others. It has mostly the same specs as the other two compared because of the same family and architecture and is the only processor with single threads per core. 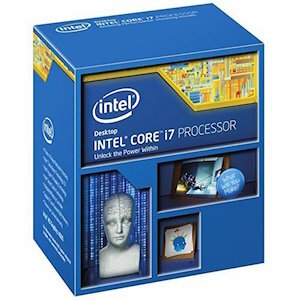 It's the economical option in the family of Intel 4th Generation CPUs and offers what any serious CADer needs. At its affordable price, it comes ready to extract every inch of performance for your most demanding tasks. These microprocessors are top of the line, meant for intensive performance whether it be CAD or gaming. But the CADing is what will most benefit from these processors as the single/double thread per core will handsomely accommodate any light to heavily threaded application, while also entertaining any non-threaded tasks with relative ease. 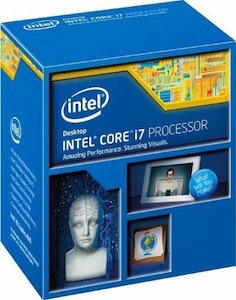 If I had the cash to dish out on the best CPU for CAD workstation, I'd definitely go for the Intel i7 4790K. 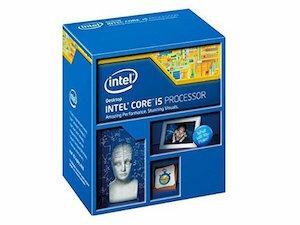 But since most people are on a budget (like myself), I'd go for the Intel i5 4690K hands down. It’s 3.5 GHz is enough for AutoCAD, SolidWorks, TurboCAD & CATIA while 32 GB of RAM will take on any game and CAD tasks with ease.